Here at N D Brown we boast an incredible fleet of over 450 vehicles, each kept in an impeccable condition by our experienced staff and running to the highest possible standard at all times. We’ve been in the business for over 25 years, so if you’re looking for a hot box in Manchester, you can be sure that we’re the best company for the job! Continue reading to find out why you should invest in us for your hot box needs. Highway Maintenance has a multitude of jobs under its name. 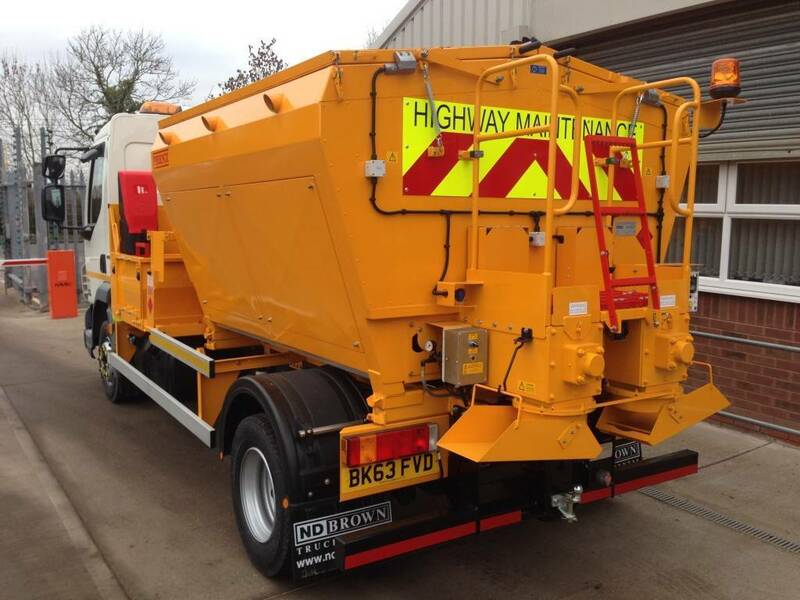 but with our hot box vehicles you’re covered for every possibility; whether you’re pot hole filling, pavement patching or performing any other road repair, our hot boxes are the perfect tool for the job. We have a range of sizes available, starting with a capacity of 7.5 tonne and reaching 26 tonne with many options in between; this means that no matter how big or small your job may be, you’ll find the ideal hot box with us at N D Brown. Our experienced staff have all of the knowledge and ability needed to not only advise you, but also ensure that the fleet is in the highest working order at all times. Regular checks are completed to make certain that the performance of your hire vehicle will be at optimum levels through the maintenance of the vehicles. The fact that we go the extra mile to ensure that you’re happy with our service is what makes us the perfect choice for you, so if you’re looking for a hot box in Manchester, don’t hesitate to get in touch today! Our hot box fleet are highly durable and consistently of a top-rate standard, so you won’t be disappointed if you choose to hire from us. Get in touch to discuss you’re needs and we’ll cater to you, no matter what you’re requirements are. We can also answer any questions you may have – we’re always happy to help!